Stores who have text messaging configured may now enable web order notification texts. At checkout, customers may select to receive order update texts. 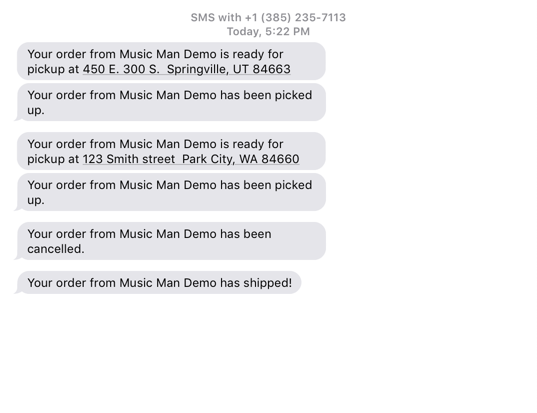 If selected, they will receive a text message when the order ships, is marked ready for store pickup (including the store location address), is picked up, or is cancelled. 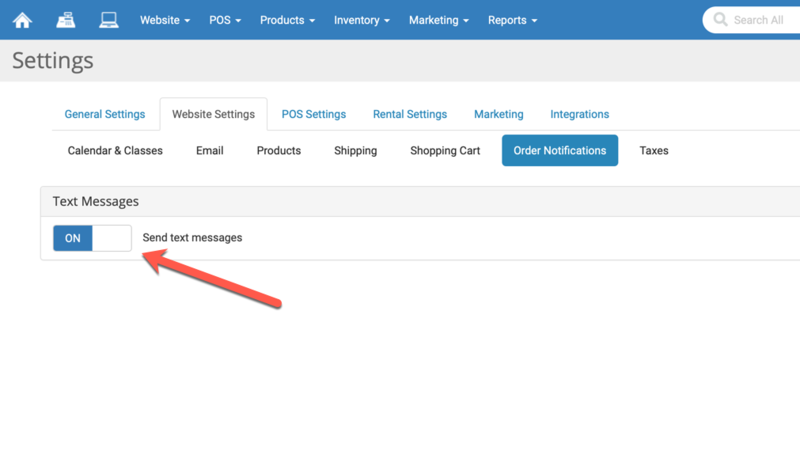 If you have Text Message Notifications activated in your system, you can enable this new feature by clicking on the gear-shaped button on the far right of our blue bar and then going to Settings > Website Settings > Order Notification. 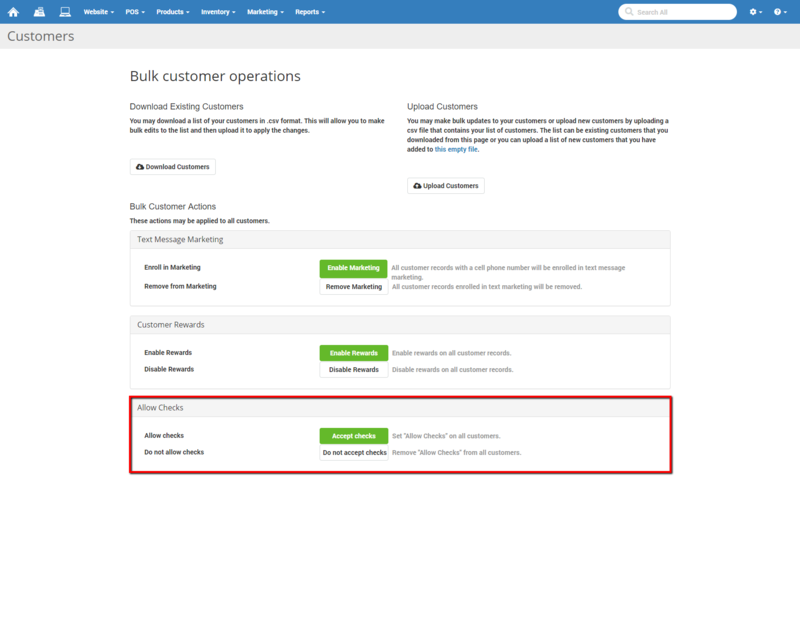 Added an Allow Checks option to the Bulk Customer Operations page. You can get to this page by clicking on Website > Customers > Bulk. 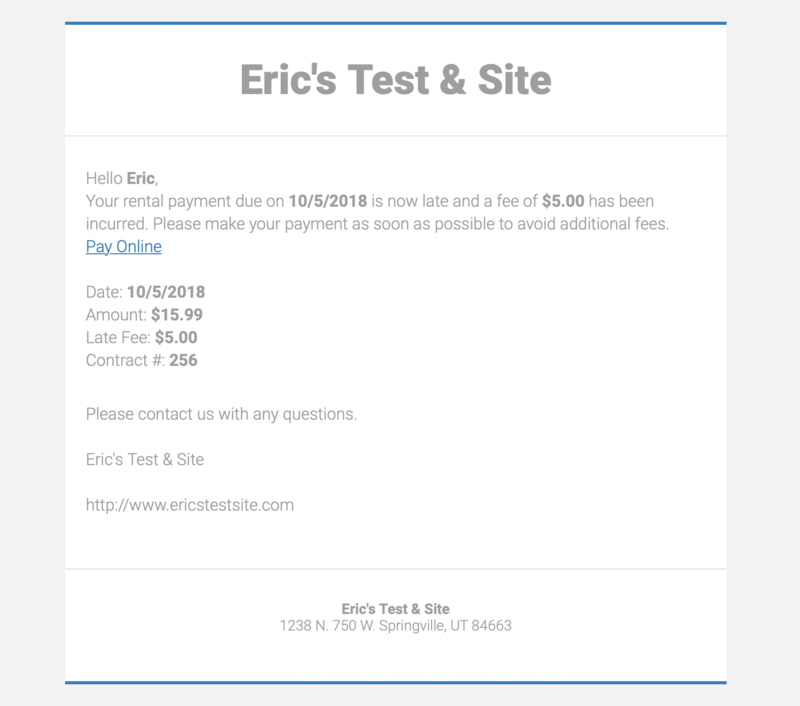 PLEASE NOTE: Clicking either the Allow Checks button or the Do Not Accept Checks button will set ALL of your customers to that respective setting, regardless of how they are currently set up. Please use the bulk customer actions features with care! The newer Shipping settings user interface is now live for all Rain clients. Clicking the Configure button for the System Configured Options will give you access to the familiar page for Shipping Methods for domestic and international. 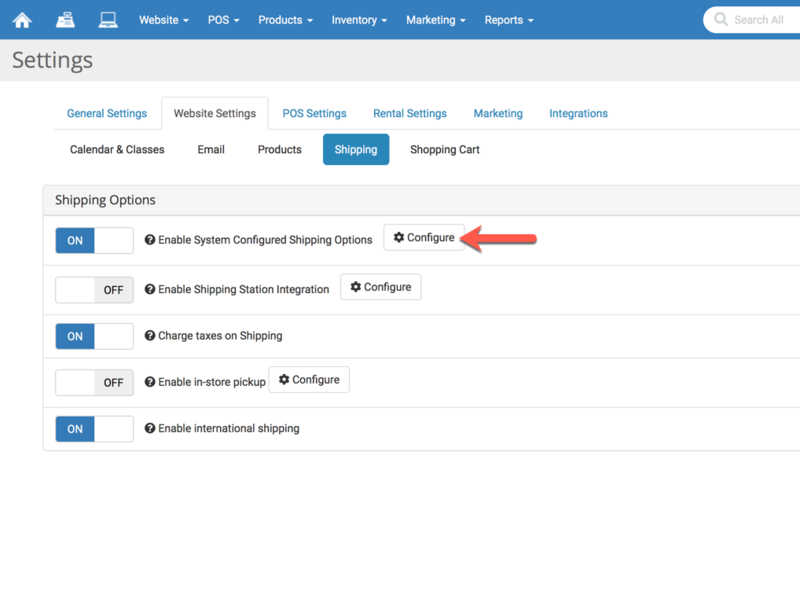 There are several features on the newer settings page, and if you're not yet familiar with them, click here to see your Shipping setup options. - Updated the Manage Serialized Inventory tool to now include Return transactions in the serial number's history. You can get to this tool by going to Inventory > Serialized Inventory. - Updated the Manage Serialized Inventory tool to display the status of Returned / Voided in the transaction column if the SN has been part of a Void or Return. On the Products > Products page, in the Filters panel, we added the ability to filter by Category, In Stock, and $0 Price. 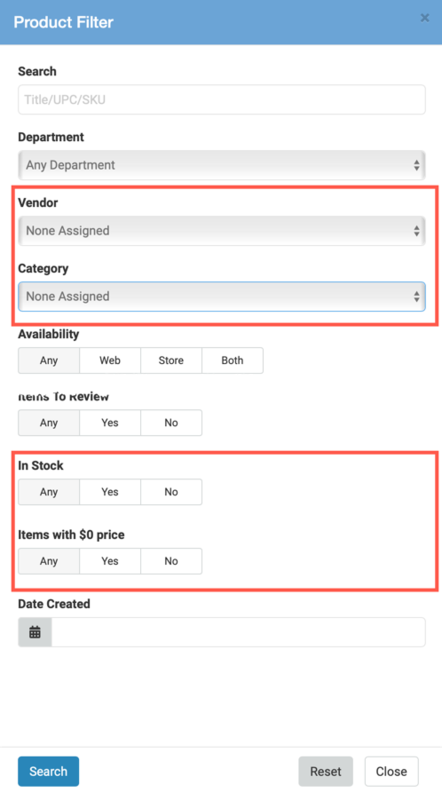 We also now allow for selecting None Assigned for Vendor and Category, in the event that you would like to find products that do not have anything assigned for those values. Some reports that were set to initially display either the current month or the past 30 days were taking too long to load. The Sales Summary, Sales by Item, Transaction Detail, and Margins reports default to data from Today in the time range area when the page loads. This will allow the pages to load more quickly. The current shopping cart used to require shipping methods configured in the Rain system, and could not rely on PayPal to calculate shipping. 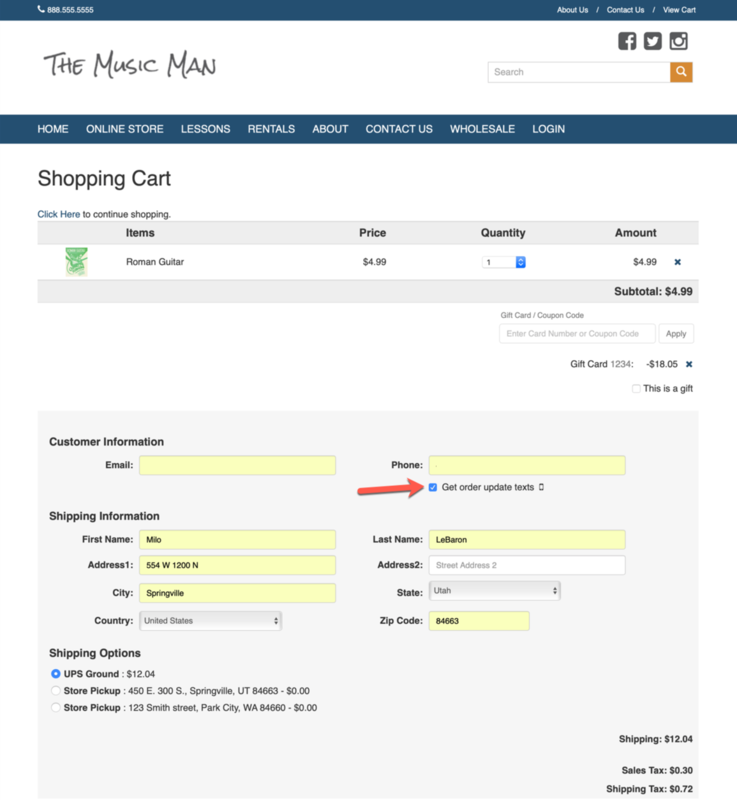 We have enhanced the shopping cart so that this is no longer required. The old shopping cart relied on PayPal's shipping calculator to figure out shipping, and this change was needed in order to move people to the newer cart without requiring them to configure shipping in our system. Fixed an issue where Reward Coupons could be used multiple times on different web orders. - Fixed an issue where reward coupons could not be deleted. - Fixed an issue where sales on the web were not respecting the Accrue Rewards on Discounted or Sale Items setting or other settings that allowed or disallowed reward points to be earned based on discounted or ineligible sales. Taxes have been updated to reflect actual tax rates in Quebec and Manitoba.